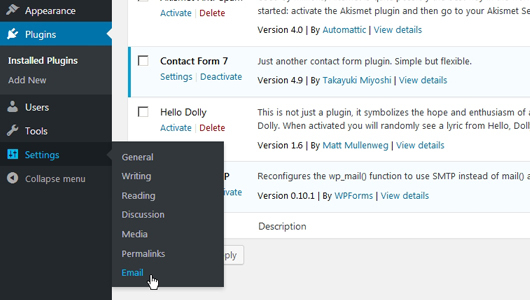 WP Mail SMPT will help you to configure emails from your wordpress. It has basic features to get you started and interface is pretty neat, i have tried couple and settled with this plugin, because of the simplicity. 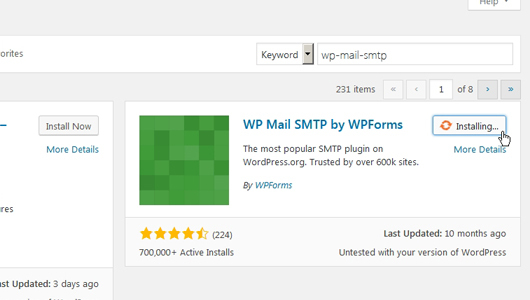 Search, Install, and Activate WP Mail SMTP by WPForms. 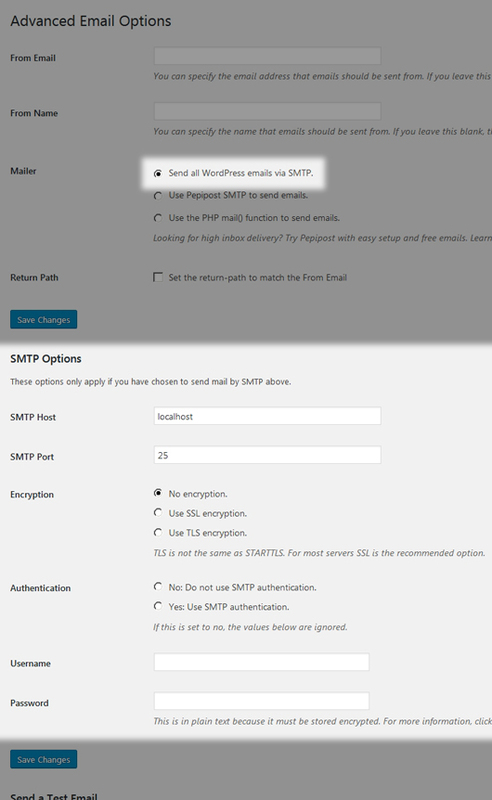 In the Advanced Email Options page, check ‘Send all WordPress emails via SMTP’ (Other options we will see it in a separate tutorial) and scroll down to the SMTP Options. THIS IS FOR GMAIL CONFIGURATION. Fill in the details I have provided below. If you are using GoDaddy, then you have to enter only the email id you have created in the Godaddy. Also change the SMTP Host and Port no. for GoDaddy. 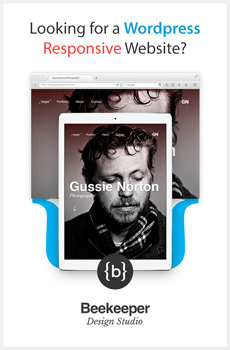 Enter a Email id in the Send a Test Email ‘To’ field. 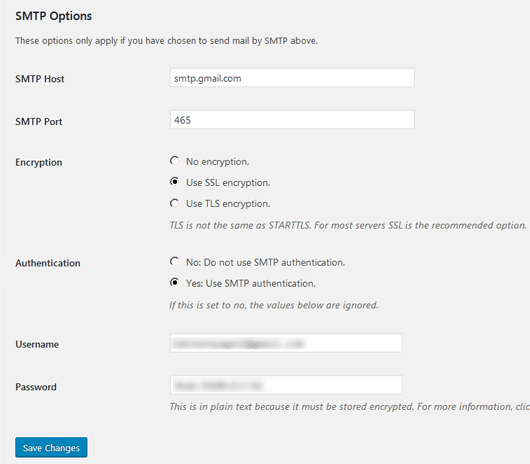 You have to enter a valid email id, not necessarily it should match the one you entered above in the SMTP Options. 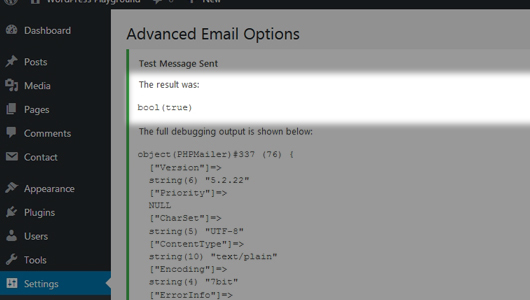 After you click the Send Test button, you should get a message like this saying The result was: bool (true). Check your Email and you should get a test message from WP Mail SMTP. 1. If you get false as a result, then double check your email id and its password. 2. Do not copy paste the email id and password, enter manually. 3. For security we use ‘Symbols’ and ‘Ambiguous Characters’ in the password. But for some reason this throws a false result. Create a password with only Lowercase Characters, Uppercase Characters, Similar Characters and try. 4. If you are using Gmail Host and Port no. use Gmail mail id and password. For yahoo host and port, use yahoo mail id and password. If you have a company email id, then get the Host and Port no. from the email provider (Example: GoDaddy, Rediff, Bluehost..). Also check the Encryption type.